Your weekly review is possibly your most important meeting of the week. It's the dedicated time where you look back over the last week and get ready for the week ahead. 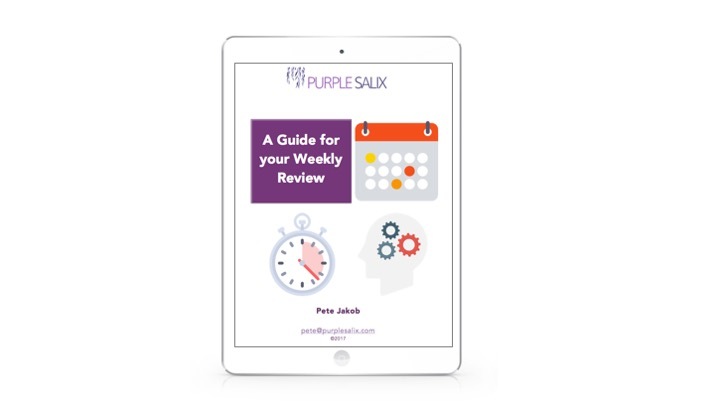 I have personally found that in times of stress the Weekly Review is the first element of my productivity system to fall by the wayside, but ironically is the best antidote to those feelings of overwhelm. I now that at the end of my weekly review I ALWAYS feel happier and more in control. I've captured the key elements of my weekly review so that I could spend less time thinking about the review process, and more time thinking about the actual activities and choices for the week ahead. Simply complete the form and I'll send the guide to you.